Evacuslider Rescue-sheets, putting patient safety first. Hospitals and care homes have been using an old version of a rescue-sheet for many years. 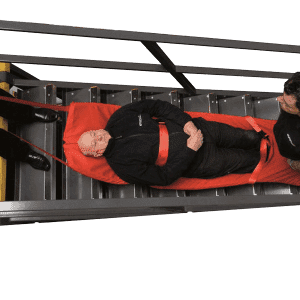 At Evacausafe we have developed a range of ultra-modern Evacusliders, which are a modern version of the traditional Rescue-sheets (rescue-mattresses). 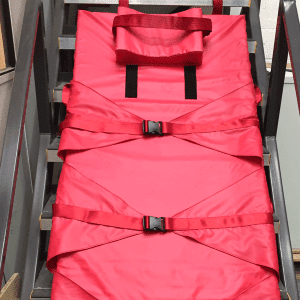 Evacusliders are quick to deploy and very easy to use, whilst being extremely comfortable and secure for the patient/evacuee and perfect for transportation along narrow corridors and stairways. 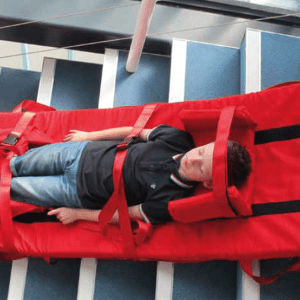 We offer a range of different rescue-sheets to suit different requirements, from our Standard model, to our Premium Adjustable which is designed to take smaller people when required, to the Premium Plus which is design for use with over size (Bariatric) patients. They all offer a cost-effective and convenient evacuation solution. The full range of Evacusafe products and services can be viewed here. Online prices have been discounted for you. This is our current range of Evacusliders, please click the images to get more information on any of the models. These are the best prices available as of 20th April 2019.